The first book to provide an introduction to the new theory of Net Locality and the profound effect on individuals and societies when everything is located or locatable. 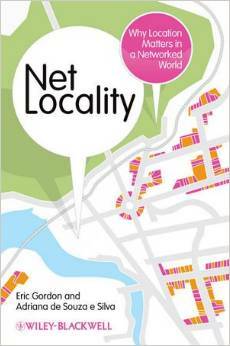 Describes net locality as an emerging form of location awareness central to all aspects of digital media, from mobile phones, to Google Maps, to location-based social networks and games, such as Foursquare and facebook. Warns of the threats these technologies, such as data surveillance, present to our sense of privacy, while also outlining the opportunities for pro-social developments. Provides a theory of the web in the context of the history of emerging technologies, from GeoCities to GPS, Wi-Fi, Wiki Me, and Google Android.